How to repair the gaps on hardwood flooring? 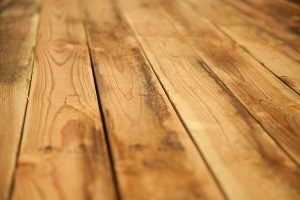 Old models of wood-and-tongue flooring often experience problems in the form of gaps showing between boards. This is a big problem, as it creates a rather unpleasant visual display, which is enough to ruin your room. Gaps also make it difficult to clean the area, as the open spaces there tend to accumulate dirt. In some cases, when the boards cup and curl, they can become a tripping hazard. Floorboard gaps develop as old wood pieces begin to shrink. If they were not properly laid in the first place, you could expect the problem to be even more prominent. Another contributing factor is water damage. If your floor has recently suffered a flood, you can expect flooring to swell and then shrink as the moisture evaporates. If there is a furnace room or another heat source directly below, gaps in hardwood are more likely to develop. When fixing gaps, it is important to do so with the right knowledge. Often it is better to rely on experts, rather than do the job on your own. If you have decided that a repair is in order, then your best bet is doing so with a solid and not liquid material. Rope filler – this method is quite old and prescribed by the experts. Filling gaps with rope is often the case with jute or in some cases plain cotton rope. Before doing anything else, you must scrape the gaps with a screwdriver and then thoroughly clean the area. Get the rope and apply carpenter’s glue on it, then push it into the gaps. Once the glue has dried up, re-stain the area and re-seal. This method runs into some trouble if gaps are not of equal width, which is almost always the case. In this case, you will need several ropes of different thickness. 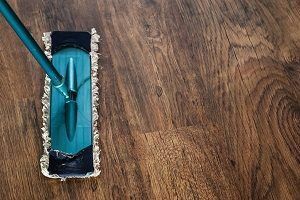 Wood strip filler – if you can rip a few strips out of spare floorboards perhaps, you can use them as gap fillers. Apply some glue to their sides and place them into the gaps. You may have to use a hammer or a mallet for this task. The challenge of this method is getting the same width on all wood pieces. This is why it is best to leave it with professionals. Also, this project is more of an all-or-nothing one, since once strips are glued in place, they are permanent. Wood putty patching – wood filler is another one of the options out there. By using a putty knife, you can force the filler into the gap as far as the tool allows. Once you have done this, you should sand the area to the level of flooring once the filler has hardened. The main trouble with this method is that sometimes surrounding boards may begin to shift and pull away from the filler. Inserting same colour acrylic filler – this is a simple way to fix floor gaps. It is fast and doesn’t require sanding once you are done. Of course, it is difficult to get the same colour, so be careful with that. Filling gaps in hardwood is sometimes viable, but you have to execute it properly. It is best to consult with experts on whether or not there is a solution to the problem, or you need a new floor.